In this article we’ll briefly look at the relationship of Leadership & Engagement by considering what employees look for from their organization and leadership team. Creating a “Highly Engaged Organization” is a key leadership outcome, and it doesn’t matter whether you are the “big boss” of a department or organization, or a team leader on a small project. All of us, at every level in an organization, need to know how to become a more effective leader. A leader of ourselves and the people around us. So what does “Engagement” mean? Let’s consider that by looking at what employees want from their place of work – and almost all of us are employees, including those in leadership roles. Clear Mission, Vision and Strategy that inspires confidence in the future of the company. Empowerment, authority and freedom to get the job done. A strong organization and effective teams that can exceed expectations. An open environment where their voice will be heard. Recognition for work they do. A good working environment and support for work/life balance. Opportunities to develop their skills and knowledge. Interesting work that gives the feeling of making a contribution. A direct manager who treats employees with dignity and respect. 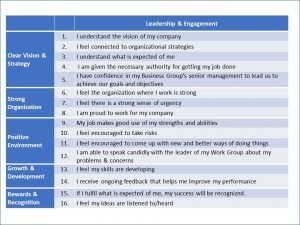 Engagement can be measured at an organizational and departmental level through Employee Engagement surveys, which often have 40 or more questions, but these Core 16 can serve as an overall Leadership Index. Note that Engagement results could also be used for evaluating individual leadership levels, but 360 feedback and/or Leadership Profiling (using a psychometric tool) are better suited for that. 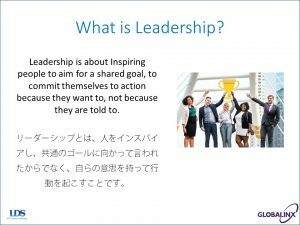 What does this tell us about Leadership? These Engagement results can help to identify areas where action is required. 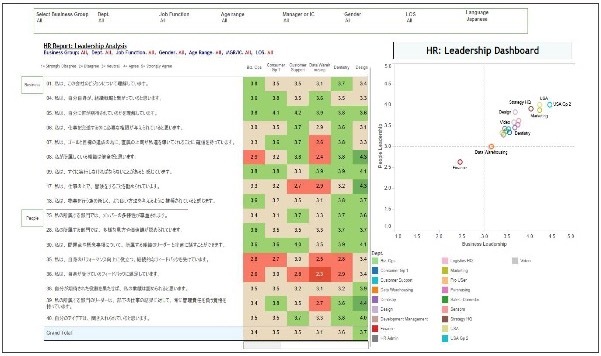 In the chart above you can see that there are clear gaps between managers and individual contributors, so there are some issues that need to be addressed. 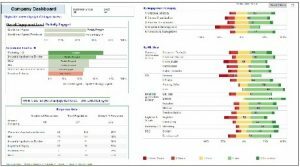 Overall results can be seen on the Company Dashboard, and more detailed results can be seen by department. These how opportunities in “Growth and Development.” Also, “Risk Taking” and “Making changes to compete effectively” appear to be areas for improvement. With these kind of engagement results there is no need to try to fix every “red box” issue – it’s better to focus on 3-5 key areas and work on those. 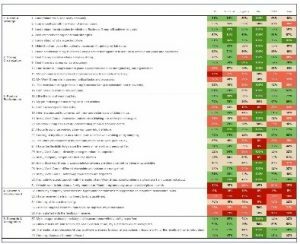 HR and management teams can also work on positive areas, i.e., the green boxes, as sometimes these get forgotten in the natural tendency to fix poor scores – but further improvements here can lead to higher engagement overall. Run all-employee sessions with the CEO, who then explained the revised company Mission and 3-year plan, followed up by similar sessions with each Director and their departments. Each business unit and department created their own action plans, based on the detailed results for their teams. 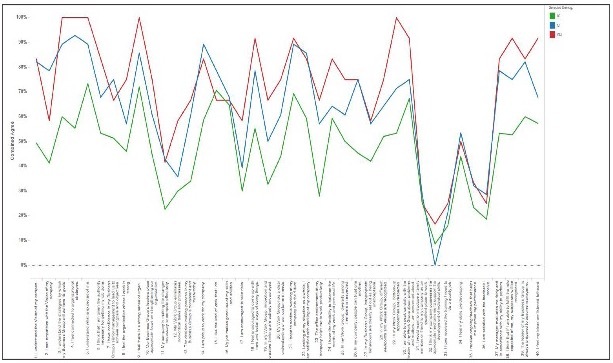 360-degree feedback surveys were also initiated, with Coaching support. We look forward to seeing the changes in the next Engagement Survey!